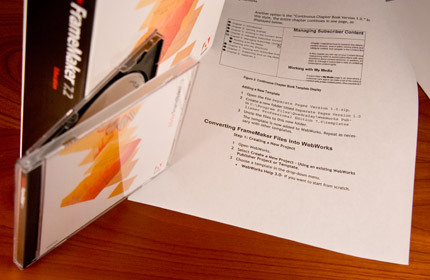 Rendition Networks (now Opsware/HP) had an online help system, but needed assistance to perfect their FrameMaker to WebWorks online help conversion. Marita Graube was hired to complete the conversion and assist the programmers with the output files. She also wrote a supporting instructional booklet as a reference for the on-site technical writer.